For the taming of unmanageable frizzy or curly hair. 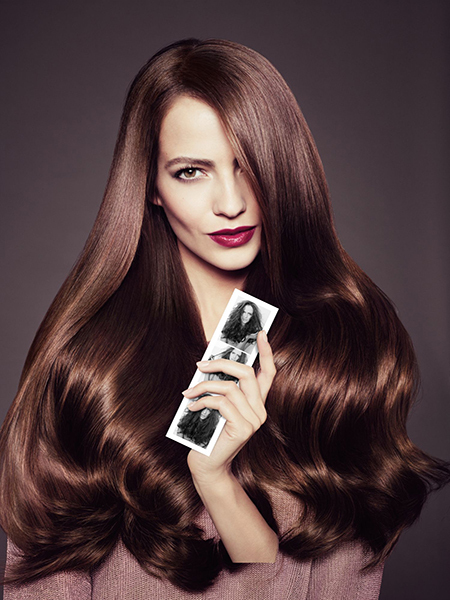 For long lasting smoothness and straightening, this treatment can assist you to achieve the hair type you've always wanted, whether you wish to de-volumise rebellious or frizzy hair or to straighten curly hair, X-tenso leaves the hair feeling manageable, soft, silky and shiny, this treatment gives long lasting results . Daily Straightening can be a thing of the past! As a de-volumiser or the Brazilian Straightening look. "I have been using the salon for many years, and am always pleased with the service. I have very curly, frizzy hair, so when Jenny suggested I try a product called Xtenso I jumped at the chance. It not only straightens my hair, but also takes down the frizz and volume. I can even go out in the rain and have no frizz, which is amazing! My hair feels great after the treatment and is not affected in any way by the product, in fact the shine afterwards is great. Vicki does an amazing job, the process can take a couple of hours, but I always feel relaxed in such a friendly and professional environment. Having the Xtenso treatment has literally changed my life – I can wash my hair and go out knowing it will dry straight without frizz. I haven't used my GHD's for years! Thank you Jenny and the team for introducing Xtenso Moisturist to my hair!" 4 Oak Tree Parade, Bransgore, Christchurch, BH23 8AB.